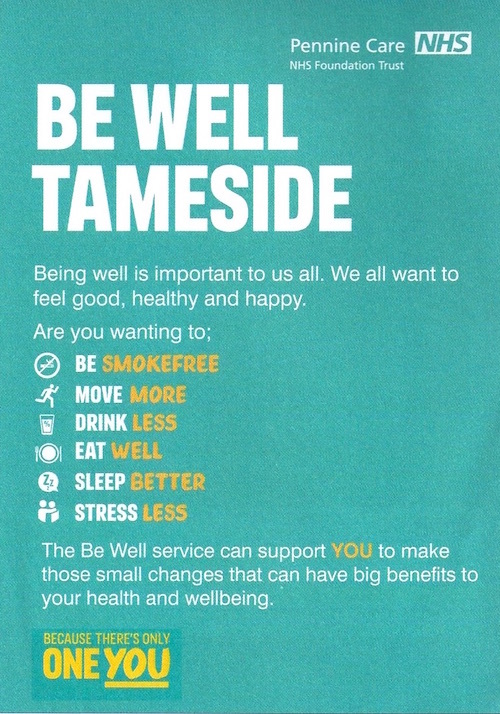 Smokefree, Weight Matters and Health Trainers has now changed to Be Well Tameside. Our Health and Wellbeing Workers are really good at helping people change their lifestyle. They know how to support you to stopping smoking or using E-Cigs, manage your weight, eat healthier, reduce alcohol and get more active. 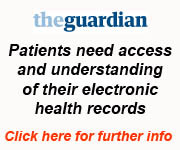 We now also offer all clients a life assessment which will includes asking about emotional health, feeling connected to other people, coping with money and much more, We will then be able to help by referring you onto other services which can help with these issues. 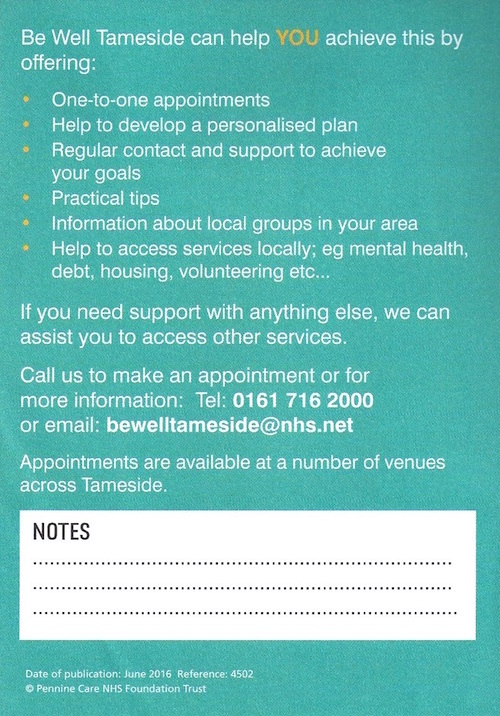 So if you need some help to make a lifestyle change or you need help with another 'life' issue and your not sure where to go...get in touch we care a free service 0161 716 2000 or email bewelltameside@nhs.net. You can also follow them on Facebook and Twitter.